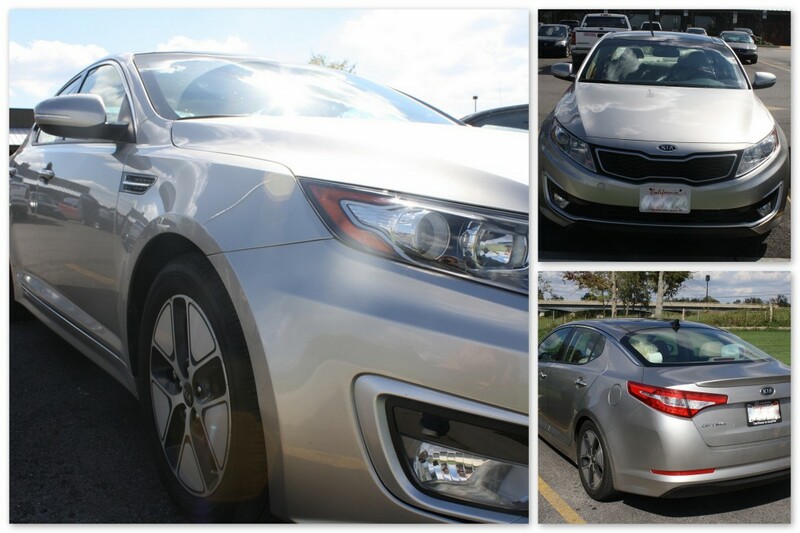 The 2012 Optima Hybrid starts at $25,700. That surprises me, I always thought Hybrids were much more expensive. (Although with complete package it is $32,500.) The estimated MPG is 35 City and 40 Highway. The tank holds 17.2 gallons of gas. This was my first time ever driving a Hybrid so it was strange to me to not really feel the car start up or to feel the car switch over to gas while in idle as to not run down the battery. The first time I got in the car and tried to turn it on I didn’t even realize the car was on! There was a warning light that came on at the beginning of our trip for the tire air pressure. We stopped and I checked it and it was fine. A little while later the light went off and never came on the rest of the trip. I’m not sure what that was about. I’m not overly fond of the built in GPS as I thought it had too much delay on directions and was a little confusing, although it is nice having it built into the car instead of as an accessory that could fly off and hurt you in an accident. I did learn how to turn down the GPS voice this time, which is a plus. I absolutely love the satellite radio and the option to use your phone via Bluetooth to play music. I’m not sure what our mileage was overall, but we only spent $128 in gas for 1366 miles. The car stayed in battery mode for most of the mountain driving, although it didn’t seem to like it. Overall I really enjoyed driving the Kia Optima Hybrid and I think it’s going to make the list to look at for my husband’s new car. You can connect with Kia on their website, Facebook, and Twitter. 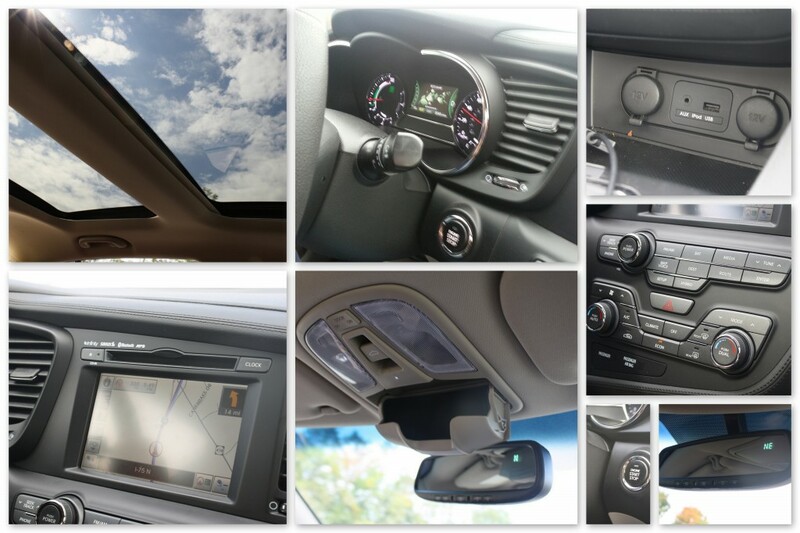 For another review of the Optima, please visit Kim at What’s that Smell? 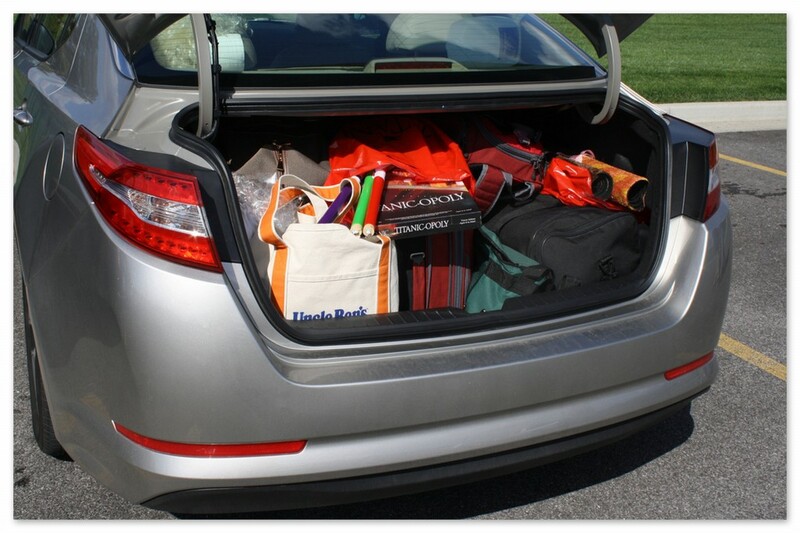 Note: I received a Kia Optima Hybrid for a loan for our road trip in exchange for this review. All opinions are my own. Thank you Drive STI. Pictures taken by Kim of What’s that Smell?